UX-related metrics have made their way into Google’s ranking algorithm. For example, website speed, mobile-friendliness and HTTPS protocol. Your website audience will also demand a more personalised experience; provide this to them with content-centred experience and personalisation (such as chatbots and push notifications). Improve your audience’s experiences and embrace the future of voice-activated interfaces and augmented reality. Having the right mix of content and technology should be a big part of your website design and user experience (UX) in 2018. As Google refines its algorithm, RankBrain is becoming even more important in how a website is ranked in 2018. RankBrain uses AI to find phrases and terms that are similar to what a user has typed in order to better understand what the intent is, returning related results. RankBrainis constantly teaching itself by paying attention to certain metrics such as bounce rate, time on page and CTR. Make the most of these metrics by increasing your average dwell time and CTR with engaging and unique content. In today’s content driven world of digital marketing, it’s a marketer’s goal to persuade a content saturated audience to consume their content, share it with their network, or make a purchase. Your website copy and language will steer your audience to take action, to click a button to buy, download or move onto the next step. Content is therefore paramount, although it’s going nowhere unless people can search and find it. It should be written with an understanding of factors such as SEO, latent semantic indexing and aimed at the right audience groups. Create useful, expert-level unique content and present it in the most engaging form possible. Credibility and relevance is key for your audience and its success in search, making amplification, link building social sharing more likely. When writing your content serve the searcher’s goal (keyword research on terminology) and our own goal (contact/conversion/advocacy), giving them a reason compelling enough to take action by adding value and relevancy. You also need to be aware of the pitfalls, such as Google’s Panda ranking algorithm update, which sifts out pages with thin, non-authentic, low quality content. De-duplication of content (canonicalisation) will also help, as well as preventing cannibalisation and making better use of your crawl budget. Social proofing is another trust signal that builds confidence with your website visitors. It highlights how other like-minded individuals have purchased your product or services and are happy with their decision to do so. Consumers are actively looking for social proof statements, and they are actively impacting their decision-making process. Focus on eliminating any fears overcoming objections. Add testimonials, reviews, number of items sold, the number of customers purchased in the last hour/day/week on your site. All will have a positive impact on sales and conversion. Convert more of existing traffic by focusing on what you already have. Analyse your user’s experiences and identify and obvious barriers for conversion. Then ease the journey of your audience so they can quickly reach a converting decision. By increasing the percentage of website visitors who take your desired action, we increase both micro and macro-conversions. Micro-conversions are your smaller conversions, such as as filling out a form or signing up to an email. And micro-conversions are your primary goals, such as your users purchasing a product or service. There is more of a focus on user behaviour in standard reports, and Google will continue to improve the accuracy of user-level data. Take advantage of the default option to analyse users alongside sessions. Google has also added a new tool to help us analyse visitors individually, enabling you to measure lifetime metrics and dimensions for individual users. Providing more accurate data then before, you can see a variety of data on past (historical), present and predicted future behaviour. This helps you to deliver a better experience for your users, tailoring your marketing activities and messaging accordingly. Audience Reporting is another new feature that enables you to connect your data more clearly, allowing you to see trends and opportunities. It uses Audience as its primary dimension and permits you to compare performance across different segments. Use these audience lists in your CRO tests. One out of every three searches on mobile is related to a location. Given the sheer dominance of mobile it’s imperative to capitalise on these audiences locally. Good marketing does not attempt to reach everyone; its targeted to connect with a few specific and defined audiences – ‘local’ being one of them. Google My Business (previously known as Google Places) capitalises on this local buying intent and enables you to boost your visibility. Optimise your Google My Business listing and create incentives to get more positive reviews and citations across the web. You cannot ignore the importance of mobile SEO. The statistics already show that over half of Google searches come from a mobile device- and this is only going to increase. If your site pages are not optimised for mobile, they are likely to be discarded from mobile search results. With the rise of voice search, the impending mobile-first index and mobile-friendliness being ranking factor, you need to focus on improving the responsiveness of your pages for all devices, Your content should also be consistent across desktop and mobile, as mobile will be favoured. Competitive analysis is a critical part of any 2018 marketing plan. Insight into what your competitors are doing well can help you capitalise on it. Add yourself to their email newsletters, social platforms and set up Google Alerts. Review the top performing websites around your targeted keywords; you can take advantage of what works and replicate it. 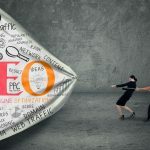 Understanding the competition’s focus on content and keyword terminology will also help you close the gap between those terms you are not taking advantage of and ultimately increasing traffic to your own domain. Striving for greater engagement and higher click-through rates will bring your website better ranking as well as indirect SEO results in the form of attracted links, shares and mentions. A focus for 2018 should be on encouraging engagement – your results need to stand out from the crowd. Don’t be ignored – start by optimising your landing pages, its content, metas (to include titles and more importantly meta descriptions) and by reaching out to your network. Establish connections with influencers – anything you can do to raise interested among all the noise and encourage the click. Consumers are actively using these review scores more than ever in their decision-making process. Focus on actively gaining, monitoring and responding to reviews on social platforms in particular ‘Google My Business’ as these are shown in Google results when searching for your business. Encourage users to leave a review, as well as commenting on your blog – this will build an active community for your brand and website. It will also help you to have abetter understanding of your user’s experience, take what works and expand on it further. Clean and own your business information and data across the web, including mentions of your business’s name, address and phone numbers (NAP) on other webpages. Being consistent is imperative, across these citations and all other touch-points such as: natural landing pages, Google Maps, schema data and paid ads. These all rely on the accuracy of the information they are being fed, and if not done correctly, can have a negative impact on your brand and awareness. Review placements on localised and industry directories, affiliates, referrals, blogs, exhibitions, shows, awards and so on. Bully the page and push the competition down in 2018 by supporting your natural SEO efforts with a paid campaign across Google and Bing. Attract the right customers immediately, with the products and services they are actively searching for. Keywords are still the primary, but voice search will start to impact terminology as well as a real focus on audience insights. Keep on top of your wider web presence and drive extra traffic and search engine real estate with the aid of social. For example your Google+ post or tweets can make it to Google’s organic search results, which is a great opportunity to drive extra engagement and more page placements in search. Attract social links and shares with viral content that is easy to share. Add social buttons to your pages and use Open Graph metas. And don’t forget to engage – this is a primary opportunity to build relationships and nurture buyers and advocates. The number of backlinks and linking domains is still a major ranking signal for 2018, and will have a massive impact on your ranking potential. 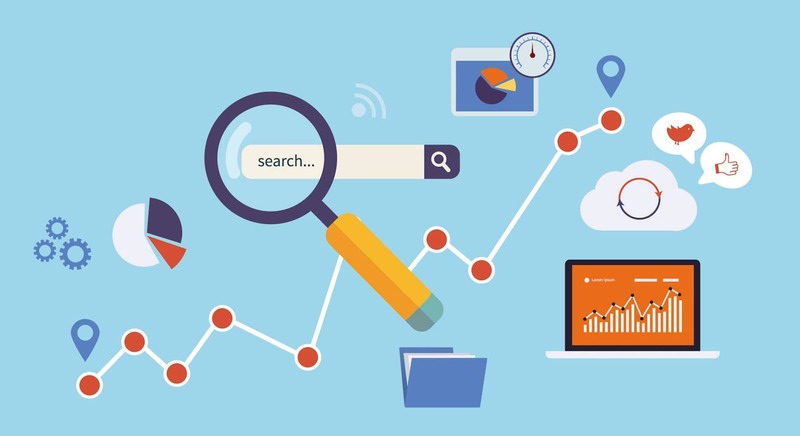 The more high-authority backlinks and quality citations a website has across the web the better positioned it is to gain higher search engine ranking and expand its overall reach. Before reaching out, be mindful of the Google Penguin ranking algorithm by ensuring your backlink profile looks natural. Authoritative links should be earned through others quoting, referring to or sharing your content. It’s also prudent to run regular link audits to spot any dangerous links early on, and have them removed in time. Start by claiming your local business listing, and adding yourself to the local directories. Content then follows; without amazing content, you will never get the links you want. And without the right promotion, content fails. Understand where your audience lives and let them know you exist, target influencers that can share your content and increase your outreach to already engaged communities.